Got ruach? Send our your New Year's greetings with a customized image that communicates that spirit. 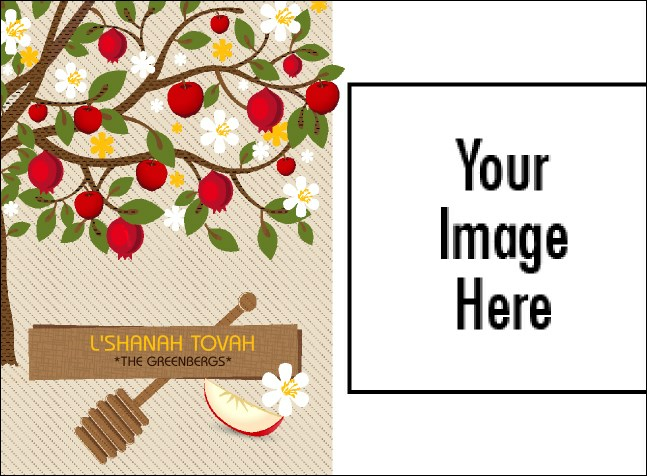 Upload a picture of the whole mishpacha or any other image to help personalize your sweet wishes for friends and family during the upcoming holy days with this colorful High Holidays themed Rosh Hashanah Card. Shana tova tikatevu ve techatemu from TicketRiver.com.au.